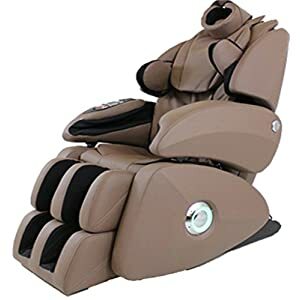 The ultimate chair for zero gravity reclining, if you want to have a personal masseuse on call 24 hours a day then a zero gravity massage chair is the chair for you. These chairs are incredibly high quality and with a fairly high price range you can be sure that you will get a range of features for your money. Many of the chairs below are able to give you a full body massage with a range of different massage programs. Many of these futuristic chairs include speakers and some even allow you to program your personalized massage in time with the music you are playing from your personal collection. You can enjoy an individualized massage, whenever you want, some of the below chairs feature a computer that can scan your body size automatically, allowing you to enjoy custom fit body massage. Many of the chairs allow you to set the massage program, length of massage, massage strength, speed and roller position. 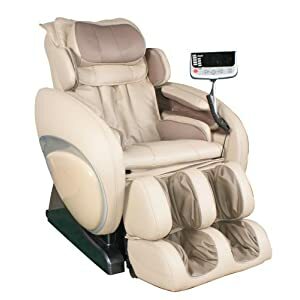 If you want to view the best anti gravity chairs that we have available on our site why not take a look at the Top rated zero gravity massage chairs. All of the chairs listed throughout My Zero Gravity Chair are chairs we consider to be above average, however the top rated massage chairs listed on the site all have a very high rating of over 80% or 4 + out of 5 based on the opinions of our editor.